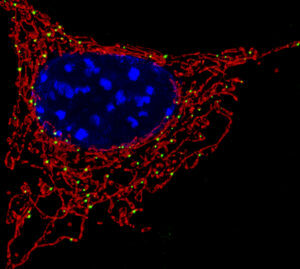 Mitochondria: To most people, they’re little more than a ghostly memory fragment from middle school biology. However, these tiny “powerhouse(s) of the cell” are much more than they seem. They’re actually the shape-shifting descendants of ancient bacteria that were eaten by a larger archaebacterium billions of years ago. . (If you want to know more about that theory, check out my recent Lateral magazine piece on the scientist who developed that theory.) Mitochondria have complex relationships with other organelles, swim around in our neurons, and make up 1/3rd of the mass of heart cells. In the past year, scientists have learned how to add and remove them with cellular surgeries and how to manipulate them directly. 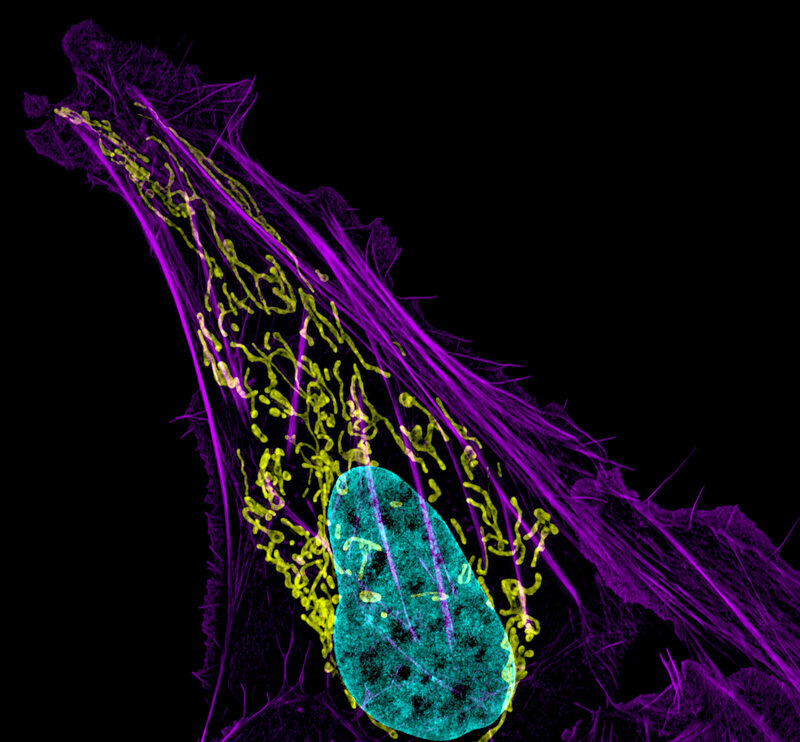 Yet, we rarely hear of or think about our cells’ powerhouses. 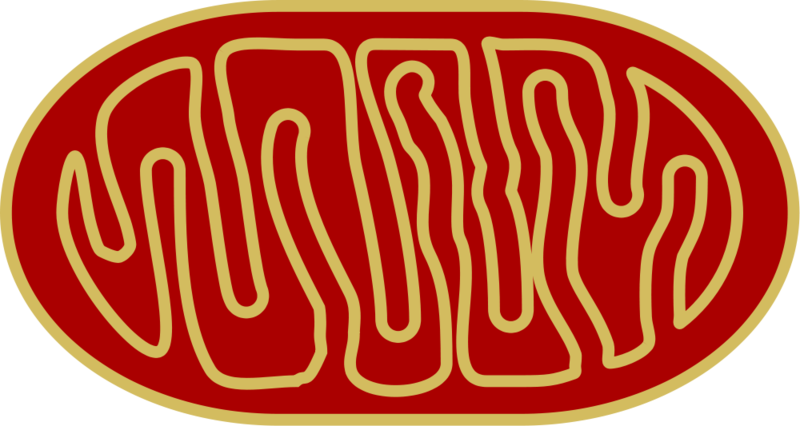 1: Mitochondria are interconnected shape-shifters. We say “Mitochondria is the powerhouse of the cell” as if mitochondria is a singular word, but actually it’s plural. (The singular of mitochondria is mitochondrion.) However, in most cells mitochondria act as a collective, passing electrons and genetic information from mitochondrion to mitochondrion. “They’re [descended from] bacteria that divide in a binary fashion,” explained UC Davis cell biologist and mitochondria specialist Jodi Nunnari. “During the course of evolution [the mitochondrial] genome has been greatly reduced. 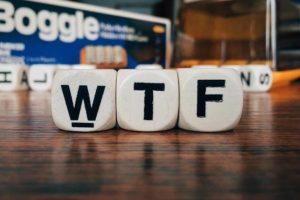 As a consequence of that and the fact that they were reproducing in a new environment, a few of those do mitochondrial fusion.” Mitochondria’s habit of merging sets them apart from all known bacteria. 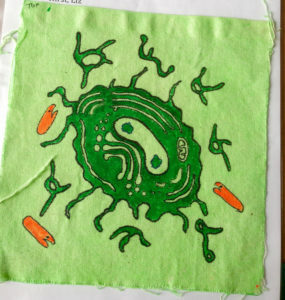 “Bacteria divide, but they don’t fuse,” Nunnari added. In fact, mitochondria are so tightly connected that many scientists think of them as a membrane network rather than a series of jelly-bean shaped organelles. They can also swell to become round or stretch out to become skinnier. Looking at the shapes of mitochondria can give researchers clues about the health of cancer cells. 2: Scientists have recently learned how to kinda control their shape-shifting. 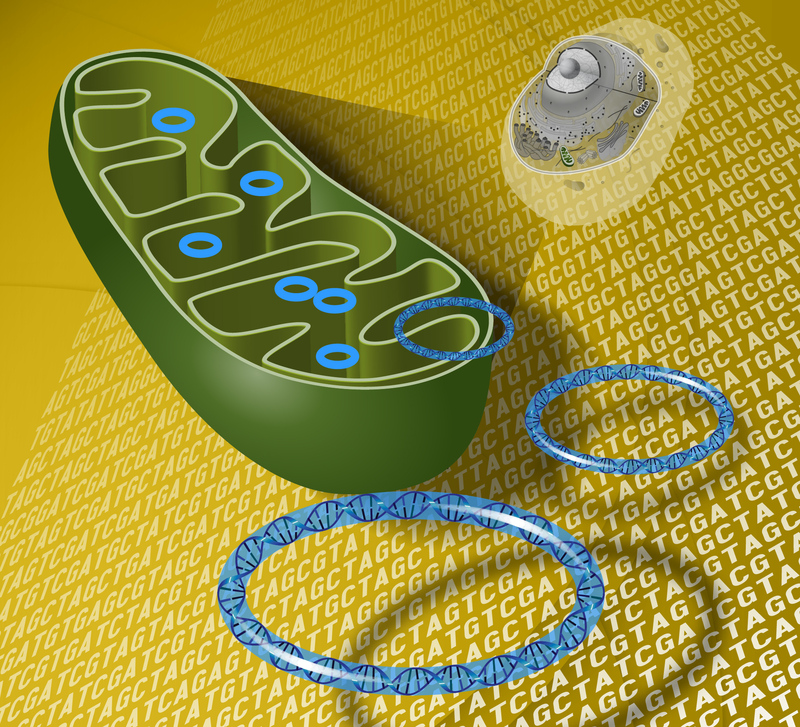 Until recently, mitochondrial motives for fusing and dividing have remained murky. 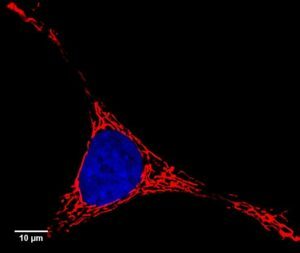 However, one team of scientists at Washington University at St. Louis have discovered one molecule that exerts an outsize influence on mitochondrial fusion. However, Dorn and his team recently identified a peptide that is mounted on the ends of individual mitochondria, which opens and closes “like a diaper pin”. When the diaper pin peptide is “open”, mitochondria stick to each other like Velcro and fuse. When the diaper pin peptide is closed, the mitochondria go on their solitary way. By adding drugs that open or close the peptide, Dorn and his colleagues were able to mostly control the rate of mitochondrial fusion in the cell. For cell biologists, that’s a new one. The study ran in the prestigious journal Nature. They’re hopeful that someday, the ability to manipulate mitochondrial merging and dividing will lead to treatments for killers like heart disease. 3: They swap genes amongst themselves. 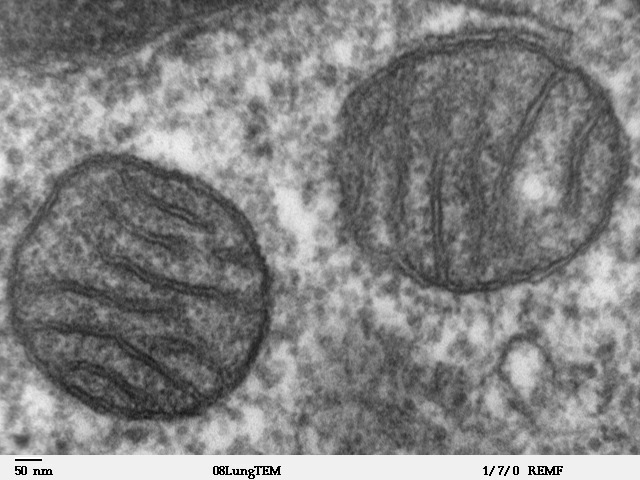 The cell’s nucleus is a hub of genetic information, but mitochondria have kept a handful of their essential genes all to themselves. 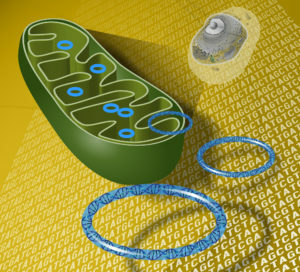 Mitochondria store their genetic info on little globs of DNA called nucleoids, which are spread throughout the cell’s mitochondria. Although nucleoids have their own name, they can be thought of as chromosomes for mitochondria. “I do call them mitochondrial chromosomes,” Nunnari admitted. Nucleoids get shuttled from one mitochondrial compartment to another, and only a small fraction of them are copied to make new mitochondria. 4: Mitochondria are BFFs with the Endoplasmic Reticulum. 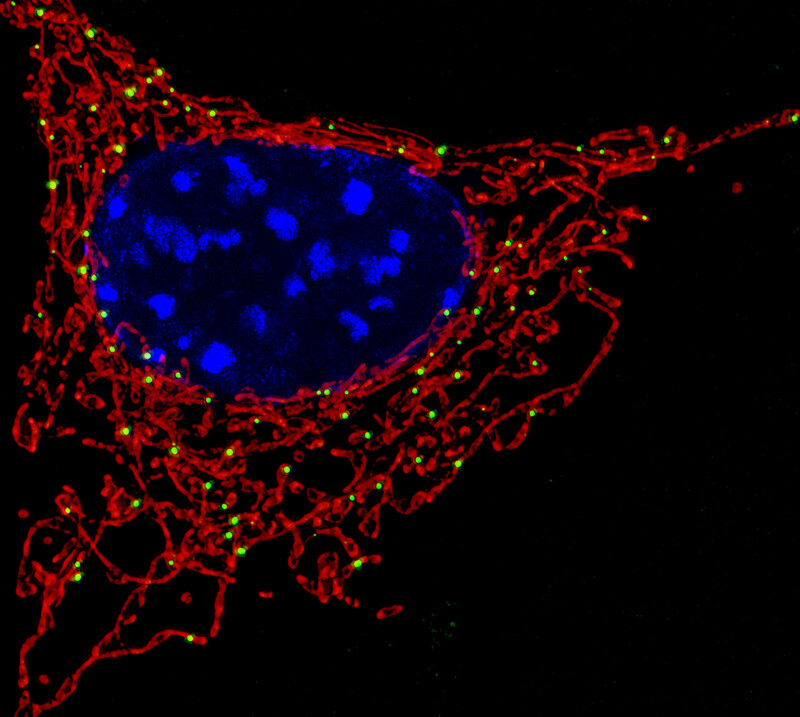 Samantha Lewis, a postdoc in Nunnari’s lab, recently captured images of strategic bonding between two of cells’ oldest organelles–the powerhouse mitochondria and the molecule-delivering endoplasmic reticulum. In fact, the spots where the ER touched mitochondria were exactly where mitochondria made copies of their nucleoids. In its role as the cell’s transport system, the ER is in contact with many different organelles. It’s also one of the few organelles thought to be as old as mitochondria. 5: Our cells’ powerhouses have their own agenda. Many biologists tend to forget that mitochondria have their own evolutionary goals, says Maulik Patel of Vanderbilt University. 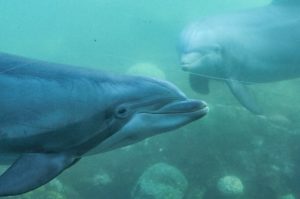 “They retain their own genes and they retain their own genetic interests, and over time, those genetic interests may not necessarily be aligned with the host’s,” he explained. For example, all of us need mitochondria to live but only half of us can pass our mitochondrial mutants down to our children. Sperm destroy their mitochondria after implanting in an egg, so all of your mitochondrial DNA comes from your mom. Because they’re matrilineal, harmful mutations in males don’t make much difference to a mitochondrion’s genetic legacy, Patel says. As long as the females are in good shape, the mitochondrial genome will still get passed to offspring. “From the perspective of a mitochondrial genome, my sister is much more valuable than I am,” Patel said. Patel’s lab found evidence of this pheonomenon in action in fruit flies, where they found a mitochondrial mutation that hurts male fertility . They published the study in eLife. 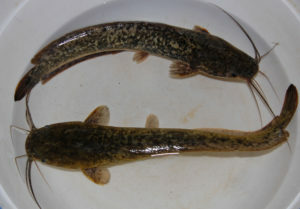 6: They also have their own genetic diseases. 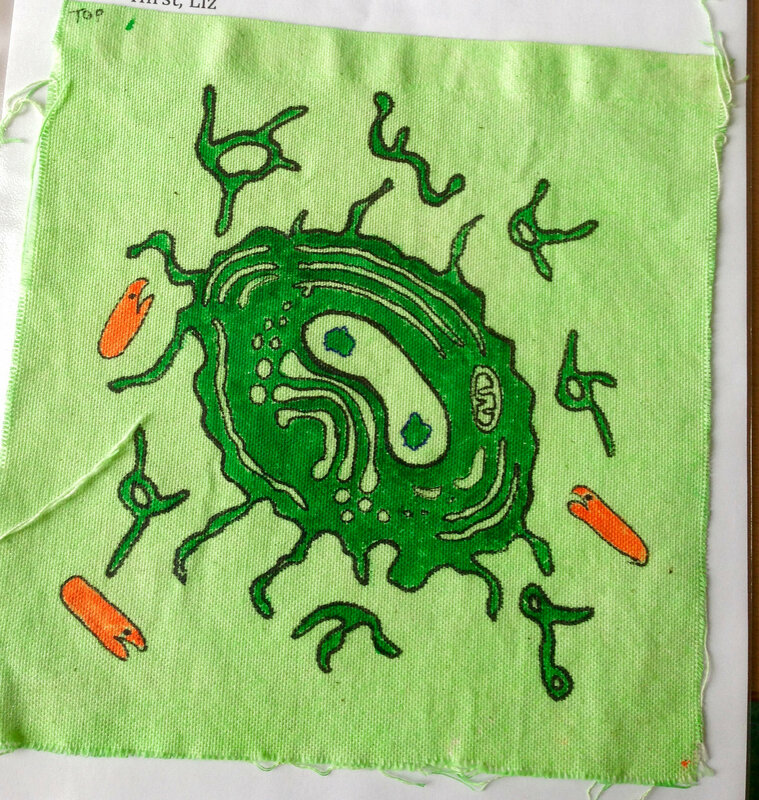 In a June study, Patel’s lab found that dysfunctional mutant organelles can sometimes crowd out healthy mitochondria in yeast. These mutant mitochondria hurt the yeast. However, that doesn’t stop them from dividing. Cells have mitochondrial population control tools to stop the powerhouses from completely overrunning the cytoplasm. However, the mutant mitochondrial strain that Patel and his colleagues studied somehow dodges the population control system. What happens next mirrors the spread of cancer cells within a body. The mutants divide and divide, overwhelming the host’s quality control mechanisms. The difference is that in this case, the drama happens between organelles within a single yeast cell. 7: We can move them with cellular surgery tools. 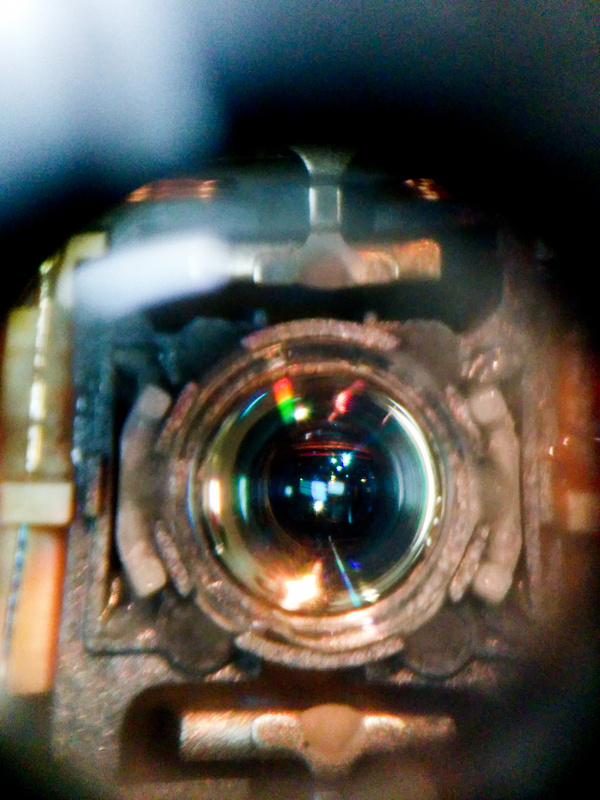 In May, researchers debuted a device that can cut into cell membranes with a tiny laser blade. The device burns into the cell membrane with a laser, says study co-author Michael Teitell of UCLA cuts open a small flap of the cell’s outer membrane, a puncture small enough that the cell membrane can heal itself afterwards. The team then took their experiment a step further by injecting foreign mitochondria into the cell though a tiny glass tube. Adding healthy mitochondria to sickly cells’ cytoplasm was enough to restore the sick cells’ overall metabolism, the team reported. Cellular surgeries and biopsies may soon become a regular thing in cell biology. Several other groups are developing similar techniques for physically targeting and transferring microscopic cell parts. The lives of our cells’ powerhouses are more complicated than you might think. Samantha Lewis, Jody Nunnari et al. “ER-mitochondria contacts couple mtDNA synthesis with mitochondrial division in human cells” Science, 2016. Antoinetta Franco, Gerald Dorn, et al. “Correcting mitochondrial fusion by manipulating mitofusin conformations” Nature, 2016. Bryan L. Gitschlag, Maulik Patel, et al. “Homeostatic Responses Regulate Selfish Mitochondrial Genome Dynamics in C. elegans” Cell Metabolism, 2016. Maulik Patel, et al. “A mitochondrial DNA hypomorph of cytochrome oxidase specifically impairs male fertility in Drosophila melanogaster” eLife, 2016. Ting-Hsiang Wu, Michael A. Teitell, et al. “Mitochondrial Transfer by Photothermal Nanoblade Restores Metabolite Profile in Mammalian Cells” Cell Metabolism, 2016. Hi! Could you explain why mitochondria make up 1/3rd of the mass of heart cells? Also, how does this compare to other organs? Right, so that was a fact mentioned to me by Gerald Dorn, the cardiologist in #2. Apparently, it’s because the heart needs a lot of energy to keep blood flowing to other organs at all times. The amount of mitochondria in a cell apparently varies by cell type, but I haven’t been able to find a data chart that breaks a whole bunch of them down. In most cells, mitochondria make up less way less than 1/3rd of the cell’s mass, though. So I really liked your 2016 version. Are you going to make a 2018 version? Thanks!